County Bonus Bird-A Red-headed Woodpecker! 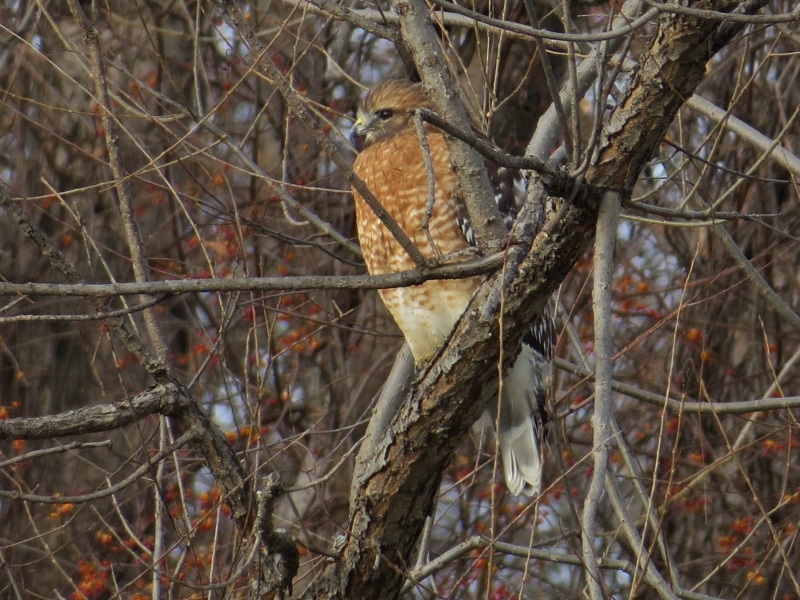 The end of the year will soon be here so I continued my search for birds in Middlesex County. 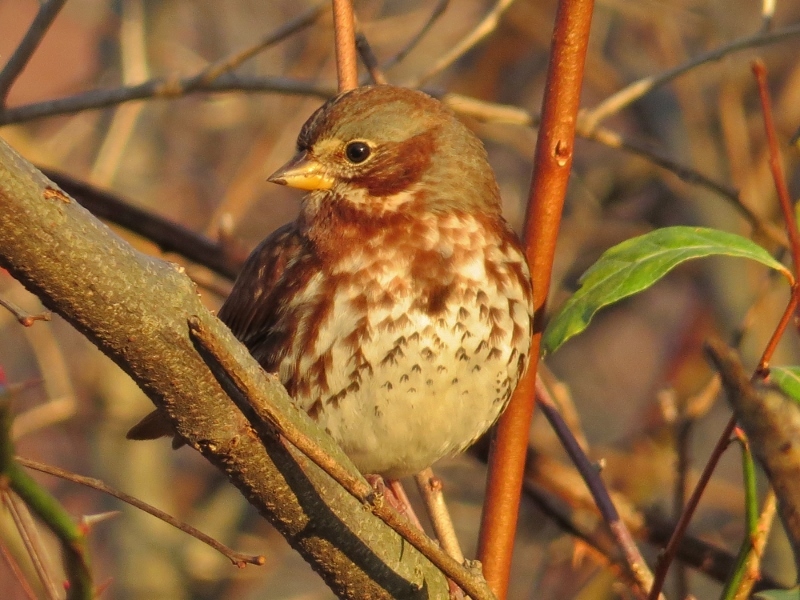 This healthy looking Fox Sparrow took a break from scratching through leaves to survey its surroundings. 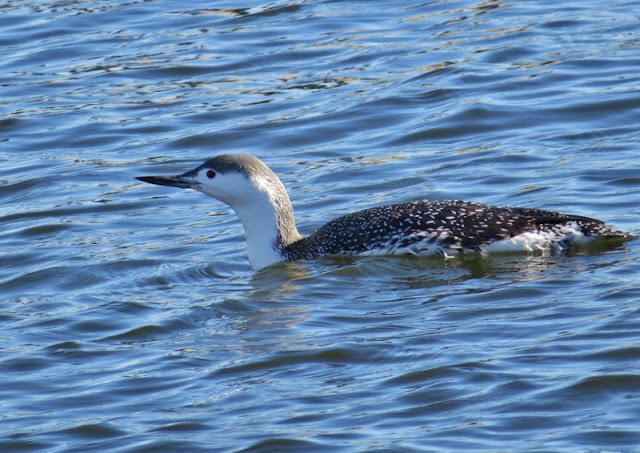 It was so nice to get a closer look at a Red-throated Loon making it easier to see the features which differentiate them from Common Loons like the thinner upturned bill and head/facial markings. 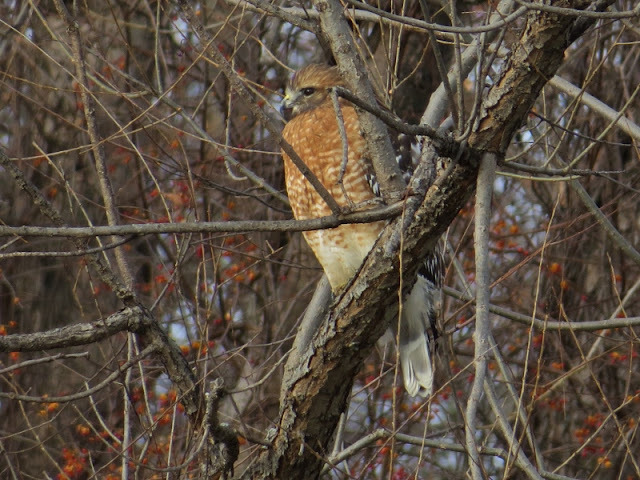 I teamed up with another birder who showed me some new birding locations in Middlesex County. 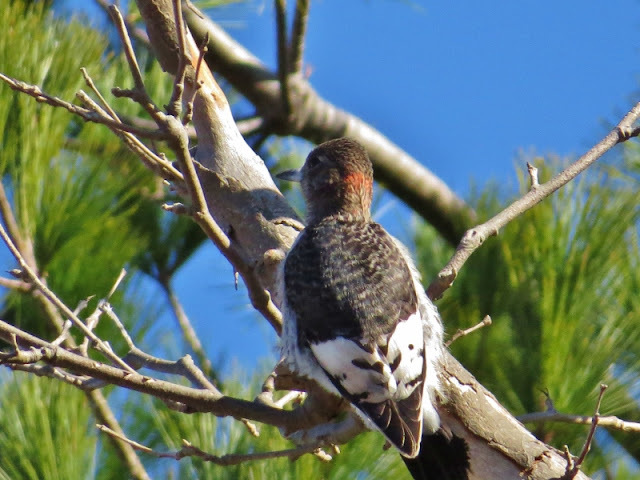 While we were at one of these new locations a friendly local gave us a tip which helped us find a previously unreported Red-headed Woodpecker (immature bird-only adults have the solid red head). This is only the 3rd one I've ever seen and a first for Middlesex County. That was an unexpected bonus and was surely the bird of the day! 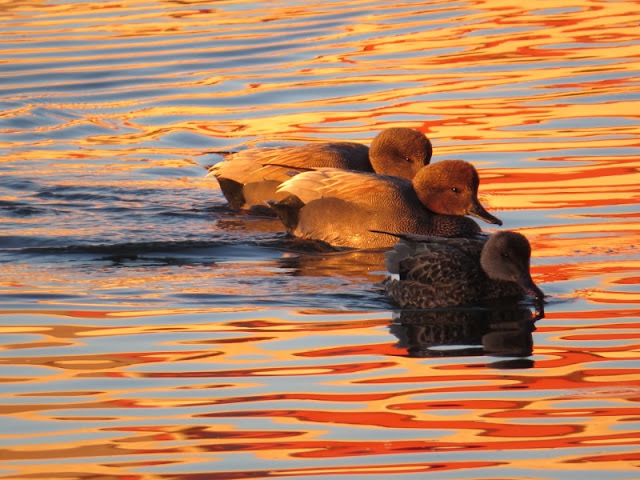 This is the time of the year that there are plenty of migrating waterfowl in Connecticut. 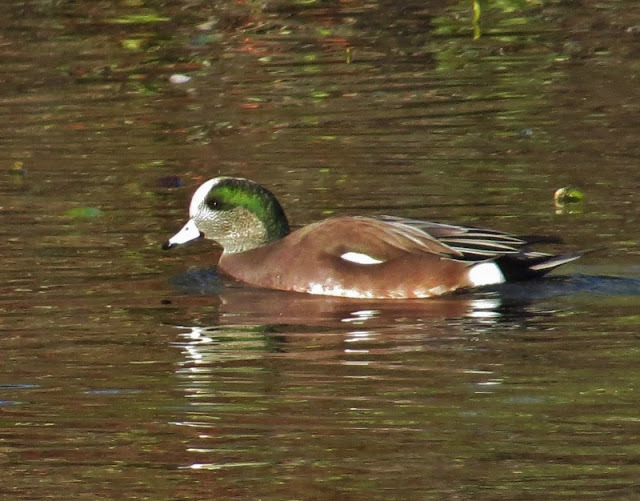 I've already seen several seen Gadwall, Northern Pintail, and American Wigeon this month (old photos in that order) but the majority of ducks that I've seen have been in ponds or reservoirs hidden behind no trespassing fences. I found a raft of 150 Ring-necked Ducks in a reservoir where the only viewing area was along the side of a busy highway with no parking. I found another reservoir that was completely off limits but a neighbor with a view of the water allowed me to take a look from their yard. There was over 200 Ruddy Ducks resting in the water like they didn't have a care in the world! It was disappointing that I couldn't really share the information because there was no legal place for birders to view them. I don't want to encourage other birders to break no trespassing laws and I'm sure the ducks don't mind having places to go where no one disturbs them. There's something mysteriously appealing to me about old train tracks. Many of them are no longer used by trains and have been converted into rail trails used for recreational use. Whenever I take a walk along them I imagine them as being a secret link from the past to the present. In Connecticut many of the old tracks are located along the Connecticut River. 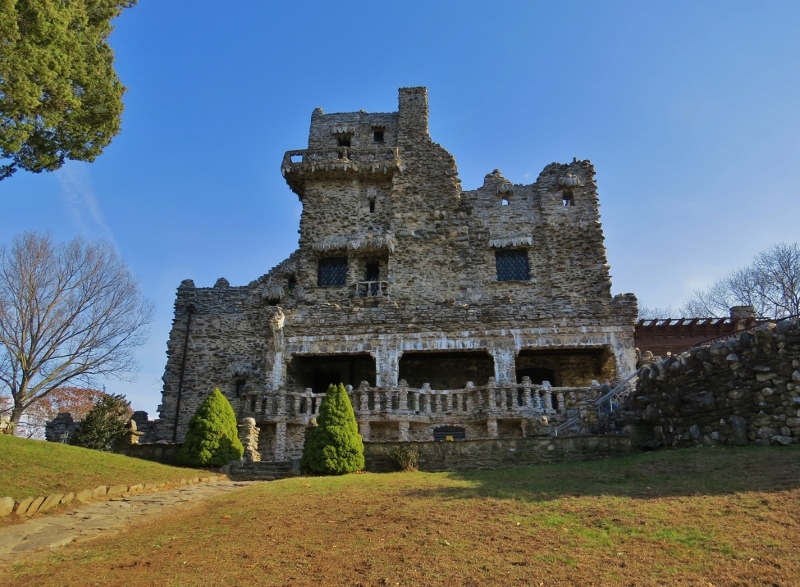 This is the castle which was owned by the actor William Gillette who played Sherlock Holmes on stage many years ago. He also had a his own train with tracks that ran around his property high up along the banks of the Connecticut River. It was a nice way of entertaining his guests. I was recently birding at Haddam Meadows and took advantage of a free ride in a pick-up trucks that was adapted to fit the old tracks which run along side the park. 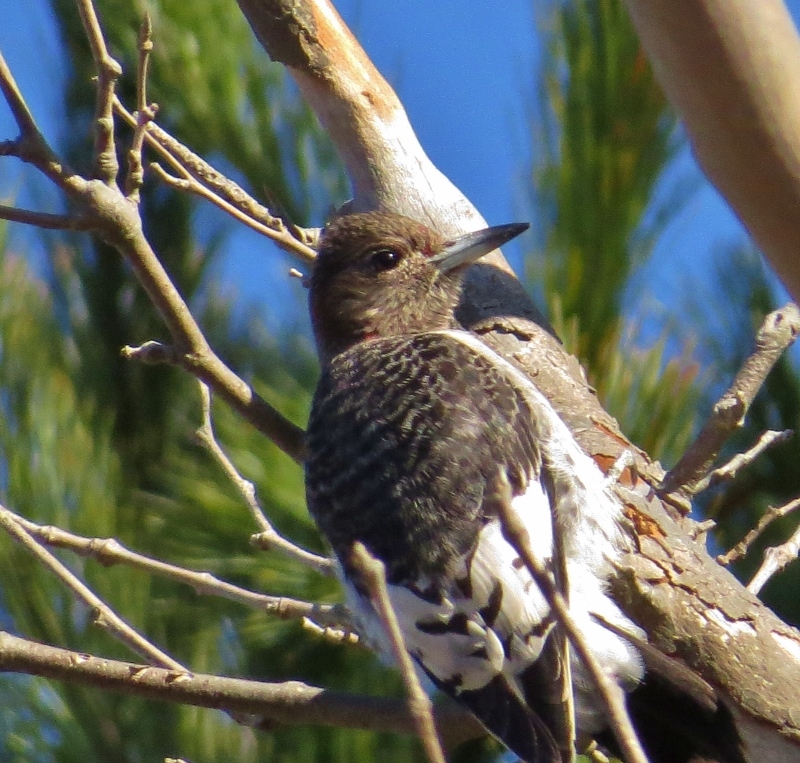 I go birding several times a year on old train tracks or ones that have been turned into rail trails. I love the way they cut a straight line right through the landscape. They may necessarily be birding hotspots but they give you a good vantage point from which to appreciate the habitat and birds in the area.